Linda Terrell Nickles, 78, of Anderson, wife of William ‘Willie’ Nickles, died Monday, March 25, 2019 at her home. She was born in Atlanta, GA to the late William Buffon Terrell and Julia Virginia ‘Mama T’ Finley Terrell. Linda, a 1959 graduate of Abbeville High School, also graduated from Georgia State University. 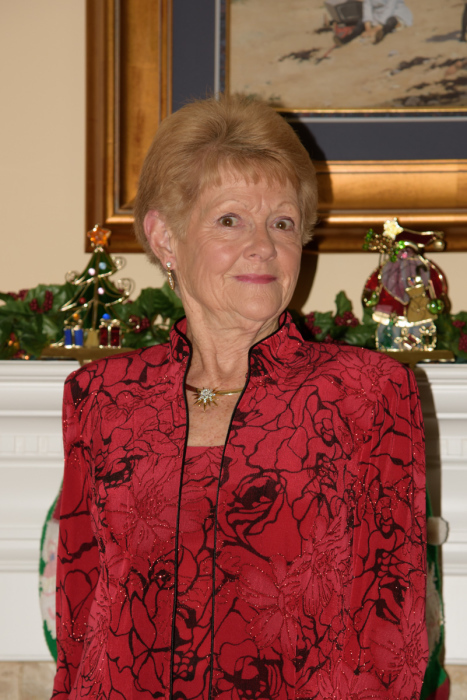 She was a retired employee of the City of Roswell, GA Recreation Department. Linda was an enthusiastic tennis player and a passionate Clemson Tiger fan. She was a member of the Cardinal Tennis Club, the Cyber Spinners Club and First Presbyterian Church of Anderson. In addition to her parents, she was preceded in death by a daughter, Patricia Nickles. Linda is survived by her husband of 58 years, Willie, of the home; a son, William Terrell Nickles (Amanda) of Bolton, MA; a daughter, Virginia ‘Ginsey’ St. Croix (Don) of Canton, GA; three brothers, Bill Terrell (Rose) of Abbeville, Jack Terrell (Carol) of Irmo and Jimmy Terrell of Abbeville; and a sister, Pam Herron (Dave) of Abbeville. The family will receive friends 2:00PM – 3:00PM, Thursday, March 28, 2019 at Harris Funeral Home, 302 North Main Street, Abbeville, SC 29620. Funeral services will begin at 3:30PM on Thursday in the funeral home chapel with Rev. Dr. Dennis Tedder officiating. Burial will follow in Long Cane Cemetery. In lieu of flowers, the family respectfully requests memorial contributions, in memory of Linda, be sent to the Hospice of the Upstate, Inc., 1835 Rogers Road, Anderson, SC 29621. Harris Funeral Home and Cremation Services, Abbeville is assisting the Nickles family.